Scott B. called with a question I’ve had a LOT of personal experience with: dog boots. This topic has generated more frustration among more hunters than almost any other (besides over/under vs. side-by-side). Augment whatever attachment scheme the manufacturer provides. Many hunters will duct-tape the top of the boots to their dog’s leg … just be careful not to wrap too tight and impede blood circulation. To avoid the inevitable howls when removing the duct tape, some guys will put a turn or two of Vet Wrap on the dog’s leg first, and wrap the duct tape on that. In Texas, a lot of professional guides will do the same with short lengths of inner tubes – motorcycle seems about the right diameter. Cheaper, the foot still “breathes,” and you’re not as mad when they fall off in the puckerbrush. tape the “toe” up if you like, many leave it open so grit falls out with each step. Here in the volcanic Northwest, we’ve gone completely over to duct tape alone. Dozens of boots per roll, and the price is right. Be very CAREFUL about wrapping – loose is better than tight. Tear off a foot or so of tape, and place your dog’s foot in the middle (sticky side up). Slowly and carefully (not too tight), spiral each end in alternating wraps around the foot (a couple layers), then up the leg a few inches. Kinda like a bandage. If your dog is the strong sensitive type, you can put a baby sock on first, so the tape sticks mainly to that. It’s not pretty, but it works as well as Cordura, leather and rubber, and the price is right. And when Fido comes back with a bare paw, you’re out a few cents and a couple minutes of re-application, not a pile of dollars. PS: If you know of a really, really, great dog boot, let me know. I’d love to find one that works! PPS: Starting to get a lot of requests for the Blaze Buddy Bandana – see here for details on this great safety item for your dog and fundraiser for a good cause. And if you haven’t downloaded the newly-updated Ultimate Upland Checklist, do it now and make sure your season is hassle-free! The Lewis brand dog boots work very well. Be sure to follow directions on how to put them on. Use quality athletic tape for a base layer above the foot, and use 3M waterproof tape to do the exterior taping, and they’ll stay on. Dakota sand burrs can be debilitating without the Lewis boots – I call them my canine “Tingleys”. Those are the rubber ones, right Dave? How long before the sole wears through? I got a couple pair of dog boots and they’re better than pulling broken-off cactus thorns out of your dogs feet, but there’s drawbacks. First, it’s hard to strap them on and zip them up while your dog’s doing a tap dance on the truck’s tailgate. They’re slppery on snow-covered rocks, and have a tendency to either twist or come off. Still searching for the perfect boot, murphydogs. Maybe we should design it! Check this out. Specifically they are for sled dogs but I’ve been using them successfully for years for my setters and the price is right. I wrap duct tape around the velcro stretchy strap for added security. I personally use the 500 Denier Cordura style. Thanks Alan. Hope your season was/is a good one. We have two beagles and just moved to NM. The stickers and cactus are killing our hunts and walks. I almost bought a few different boots to try until I saw your post. You said you wanted to know about great dog boots.. these look great, but have you already tried any of them? Thanks. Will check them out! Bienvenidos a Mexico Nuevo! Randy, as the cost of boots goes up and their reliability goes down, the guys who wear out a lot of them have some pretty good ideas. I just steal them! It’s the first time I comment here and I should say you provide us genuine, and quality information for bloggers! Good job. Thanks for the response Scott and the chance to win great gear. In that case, please put my name in the hat! My dad would be so proud for me to show up at the club looking more like a bird hunter than a kennel hand I’m sure. We hunt at a local “preserve/lodge” and will be entering our beloved SHOOTING STARR pointer in our first ever trial the end of this month. After all these years of hunting I’m just getting into the competition aspect of birddogs and plan on showing STARR off to the midwest, god willing, this year. As for where the new attire would go–I’d probably be like the hunter above and sleep in the boots and jacket not wanting to take them off! But wouldn’t that be a great addition for my new adventures in competition hunts, yes it would! Like a fresh vote of self confidence for this novice! Also, thanks for the tip on duct tape dog boots, I’ll be trying that out this afternoon on this icey snow! Not quite over yet, Lora, as I’m giving stuff away for a few more weeks. I’ve repaired everything from boots to boats with duct tape. Just don’t apply directly to YOUR feet! I’m sure this “sweepstakes” is probably over, but I have to leave a comment. In the ultimate hunt to find the proper dog boot, after looking at 87 pages of dog boots, this article has brought me a smile from ear to ear! We grew up poor–dog poor– and are still poor, but we’ve had years of fun with our dogs. The hounds eat better than we do and see the DR more than we do–but we have lifetimes of memories. I hunt with my father who’s 78 years old and when I was a kid tagging along he always said to me “when you grow up and get a good job buy a decent pair of boots girl, your hunting days are only as good as your feet feel and the same goes for your dog”! Well, after 48 years of hunting I’m still wearing cheap boots held together with good ole DUCT TAPE! At the end of each day of hunting I sure wish I’d have taken his advice so many years ago and taken care of my feet! Oh to own a good pair of boots would be a life saver, lol! I’ve always spent the extra $ on the hounds and still looking for a dog boot that works! If you find yourself with a good pair of boots on your feet they go were you go. Mine would start out in Nebraska this spring on some turkey. 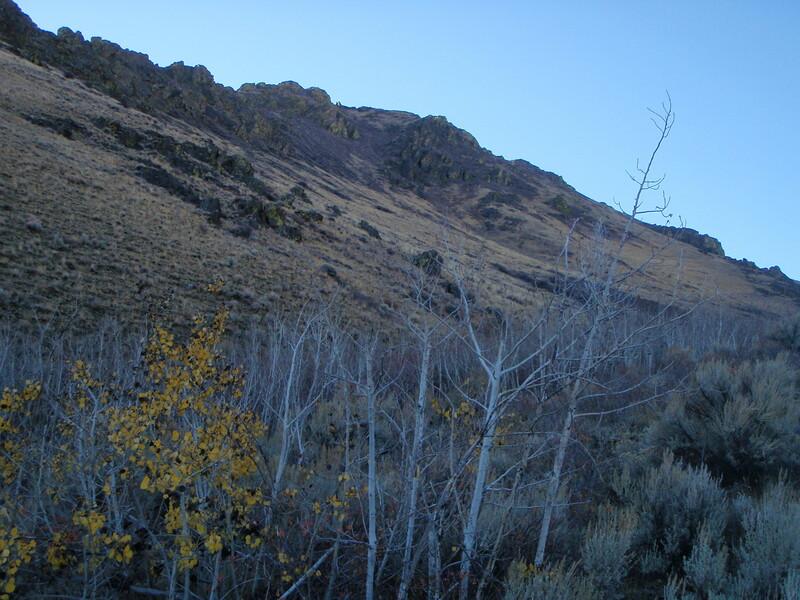 Then they would tag along to Utah for some elk and mule deer in the Wasatch and Uintah mts. Possibly seek out some chukars along the nevada border, then back to the Missouri River for a shot at some up close and personal archery whitetail (’08 was shot at 8 yds). Of course they would finish out the year after pheasants and welcome ’10 with the same. The jacket would most likely tag along on these trips, but of course that is dependent on the pattern of the jacket and the temps. I would wear AND appreciate the irish setter boots and jacket being as i just started hunting 2 years ago and am still forced to wear my steel toe work boots hunting (bad idea) I would wear them will i whitetail hunt in lower Michigan during early doe/ reg firearm season/ muzzleloader/ and late doe season. They would deffinitly get the use, and would probably in turn help to make me a better hunter! Good luck all on the upcoming muzzleloader and late doe seasons!! For instance, it’s obvious that I would have worn them yesterday when my 12 year old shot his first deer. And it’s equally obvious that I would have been wearing them when his twin brother shoots one today (or tomorrow, or maybe the day after). However, I would be so excited to win them that I would probably wear them to bed (I can see my WONDERFUL wife rolling her eyes now) and even to church. Yes, church. I go to a little mountain church perched on a mountaintop in the Blue Ridge Mountains that is full of deer hunters and outdoorsmen. I know that they would absolutely drool to see me wearing those new boots and coat. I can even imagine my preacher, who is the biggest hunting enthusiast that I know, asking to borrow them. I sure hope that I get lucky! I’d wear the Irish Setter boots and jacket to our annual trip deer hunting in Michigan. When the hunting season is over I’d also wear the boots and jacket out dog training or going to dog trials. I can’t forget, shoveling snow! The list is endless.